It was the first evening Intertrust T&F Challenge of the season on the day that the States schools broke up for the summer holidays. Plenty of youngsters still turned out for the 100m events but as expected the women’s A race provided the best results and depth of the evening as Indi Gallagher took victory by a tenth of a second from Hannah Lesbirel and Abi Galpin. Her time of 12.44sec was a new personal best and saw her leapfrog Jasmine Norman’s 12.49, Galpin’s 24-hour-old PB of 12.50 and Joy Phelan’s 12.5h to 5th place on the Guernsey all-time list. Island 200m record holder Lesbirel was also happy to post a new PB in the shorter sprint with her 12.54sec clocking as she looks to build towards a late-season 200m improvement. Further down the field there were PB’s for Rhiannon Dowinton and Caitlin Jackson with 13.16 and 13.57 respectively, both of which are very strong marks at island level for their age groups. 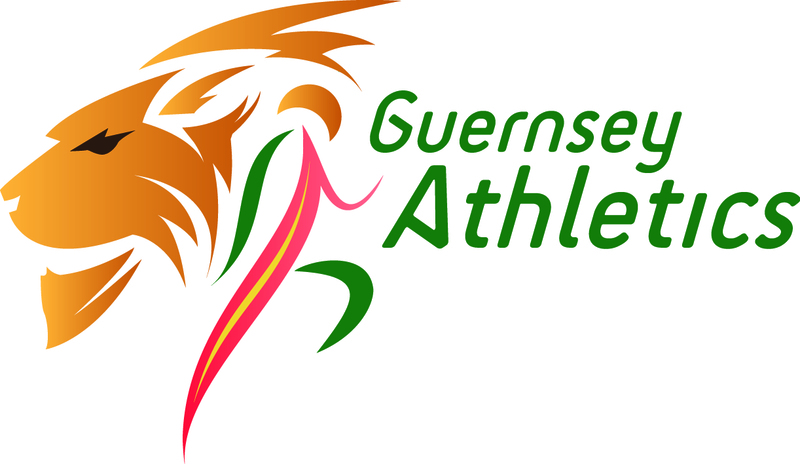 Arguably the standout male result was that of U15 athlete Patrick Carpentier who clocked 12.75sec in the men’s A race which is a big step forward for the youngster – his race was won by Joe Chadwick in 11.37 ahead of returning triple jumper Jonny Guille’s 12.11sec. The opening event of the evening was the 1500m which saw plenty of PB’s in the midfield of the A race which was won by Richard Bartram in 4:04.56. James Priest held off Sam Lesley and Isaac Powers impressively as the three all clocked 4:20, with youngster Gian-Luca Robilliard winning his dual with Andrew McArthur to win the B race in a PB of 4:42.39. Jenny James put a smart race together and moved above Commonwealth Games 800m athlete Helen Hadjam to 7th on the Guernsey all-time list with 4:48.92 in third place. The highlight in the field was Alice Hunt’s equalling of her PB with 1.60m to win the mixed contest ahead of Ben Solway’s 1.55 and debuting U13 athlete Dylan Truffit’s impressive 1.50m. Hunt looks in a great position to go to Gibraltar next season and compete in at least two of the jump events following her comeback. There were many PB’s in the 5,000m as Jim de Garis, Tom Shaw, Richard Hann, Laura McCarthy, Megan Chapple and Emma Etheredge all posted PB’s in a race won by Andy van Kints in 15:56.13 and notable for Dan Galpin’s 16:04 clocking after racing the 1500m only a short time prior to the race. The closing track event provided a couple of high level highlights through Lucas Rive and Katie Rowe. The Dale Garland-coached pair both posted large PB’s over the 400m with Rive winning the A race in 51.51 after a strong first 200m. Conversely, 800m specialist Katie Rowe ran a much more measured effort in the B race and her strong finish brought her into second place behind Mikey Ingrouille who produced an impressive performance of his own to take victory in 60.76 to Rowe’s 60.99sec. Both Rive and Rowe look odds on for 4x400m squad selection for Gibraltar if they can build on these performances.